If you’re like most savvy small business professionals, you fret over increasing engagement with the largely untapped female market. You’re not quite sure what makes women customers tick, and you’re uncertain how to accommodate the needs of female clients. Falling short in strategy to engage women is shortsightedness you’ll see in male and female executives--and you don’t want to be among that number. If you’re looking to change course and transform your business to better capture the female dollar, it’s hard to think of a better recent example than Drybar. We’ve talked about steps companies can take to boost their sales by catering to women. In a few short years, Drybar has leaped from a one-woman operation run out of a car to sales approaching $50 million. How do you ask? By hitting all the marks, and then some. Their savvy strategy of giving women what they want, how they want it, is an example that any business should consider following. It’s not as if women are afraid of choices—they make hundreds every day, at work, home, and out in the world. There’s something to be said, though, for facing a menu of options that are short and streamlined. Most salons offer a veritable encyclopedia of services—cut, color, perms, facials, manicures, pedicures, waxing…the list goes on a mile. 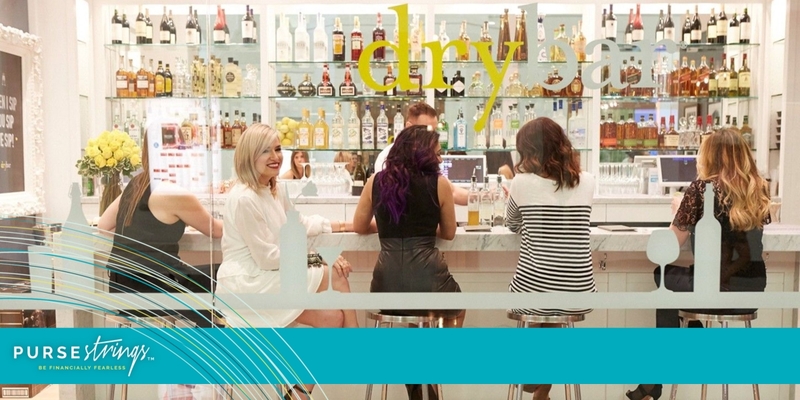 What does Drybar offer? Blowouts. That’s it. Many women find the straightforward approach refreshing, and they appreciate knowing exactly what they’re going to get when they walk in. Offer a stellar customer experience. About 120,000 women get their hair styled at Drybar each month for $40—a premium price compared to other salons offering the same simple blowout service. Why do people choose Drybar over other beauty joints? This spot emphasizes an elevated customer experience, pampering every woman that walks in the door to make them feel special and valued. Mimosas, anyone? The creation of the above-mentioned customer experience doesn’t just happen while a customer is in the chair. The company starts with a seamless online booking progress (because who enjoys difficult-to-make appointments? ), friendly consultation pre-blowout, funny and charming style menu, light and entertaining chick flicks in the background, and more. The blowout itself takes relatively little time—but Drybar knows a company’s interaction with a female client covers more than just the central service, and they make sure every aspect is enjoyable and memorable. Many women find the straightforward approach refreshing, and they appreciate knowing exactly what they’re going to get when they walk in. How can you apply the female-centric strategy of Drybar to boost engagement and sales at your own business? ⇒ Don’t try and dazzle female customers by showing off your myriad options in a long, confusing litany. Consider a more customized and streamlined approach when speaking to them. ⇒ Treat them to spectacular service at every interaction, doing your best to make your prospects and customers feel as if they’re valued clients and not just a number. ⇒ Don’t miss the details—quality service should be at the core, but enhance that with close client communication, professional performance and other special touches. Change is hard, but transforming your business to better engage female audiences can significantly elevate your sales. Take a Purse Strings Workshop, and build a female-focused strategy to engage the market that is both strong and beautiful.